Cam Janssen has enlisted some fellow NHLPA members for a charity game to benefit Hurricane Sandy first responders. 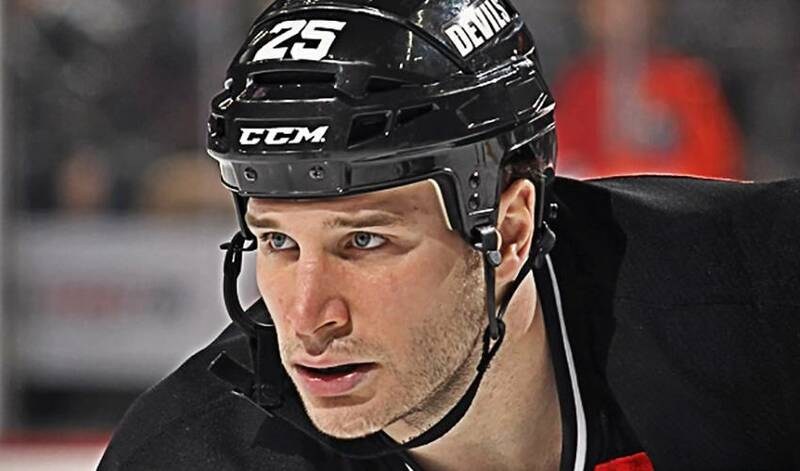 New Jersey Devils winger Cam Janssen has seen firsthand the devastation that Hurricane Sandy has done to the Garden State. As one of the most heavily-populated regions in the country, New Jersey was dealt one of the worst blows by the storm that left many homeless and without power. So on Saturday, November 17th, Cam Janssen – along with fellow NHL players Barret Jackman, Alex Pietrangelo, Brian Elliot, and St. Louis Blues alumni - will be lacing up their skates in Janssen’s home state of Missouri for a charity hockey game to raise funds for Responder Rescue, an organization that will benefit Hurricane Sandy first responders. Fans who purchase a $20 ticket will be treated to a fast-paced game at the Hardees Iceplex in Chesterfield, Missouri, as well as raffle prizes, an auction featuring donated items from St. Louis Blues and Cardinals players, and – if you purchase a $200 VIP ticket - a private after party where fans can hang out with the players. In an effort to get some youth hockey players and fans in the stands, Janssen and Responder Rescue are making it easy for minor hockey teams to come out for the night, offering them admission at a discounted rate. For $120, a team of 20 kids and two coaches can come to the event. 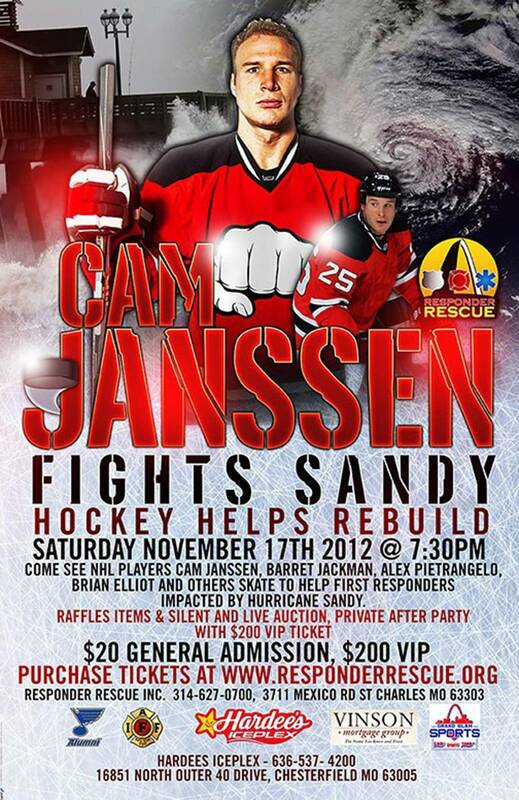 If you’d like to purchase a ticket to ‘Cam Janssen Fights Sandy’, tickets are available here. Can’t make it out but still want to help? Donations to Responder Rescue can be made here. Each and every time Kyle Palmieri meets with a military member, he takes away something meaningful from the conversation. Pick a sport, any sport, and Blake Coleman has probably played it.